Without the knowledge about the mind, spirit and life discovered in Scientology, education has not only lacked elements essential to success, its defects have crippled civilizations. Thus L. Ron Hubbard provides a very specific account of how to transform a failing educational zone into a scene of sparkling success, simply by applying Scientology basics. Anchored by a technology of life itself, education can finally realize its full potential, providing an unshakable foundation for success and prosperity. Throughout history, one subject actually did improve individuals. And that was education. But without the knowledge about the mind, spirit and life discovered in Scientology, education has not only lacked elements essential to success, its defects have crippled civilizations. And today, across the whole educational landscape, teachers contend daily with problems that, when addressed with Scientology technology, readily surrender. 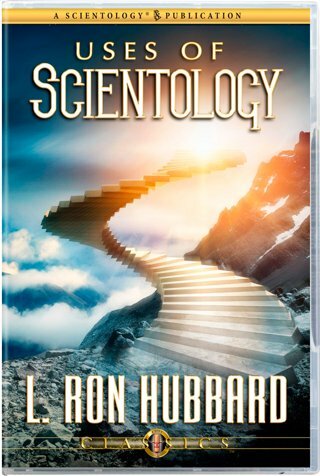 Thus L. Ron Hubbard provides a comprehensive and very specific account of how to transform a failing educational zone into a scene of sparkling success, simply by applying Scientology basics. As he details example after example, what emerges is not only that Scientology can enormously advance education, but that education begins with Scientology. These applications extend far beyond the school and university, reaching wherever educators, professionals and governments teach and train. Anchored by a technology of life itself, education can finally realize its full potential, providing individuals and cultures with an unshakable foundation for success and prosperity.